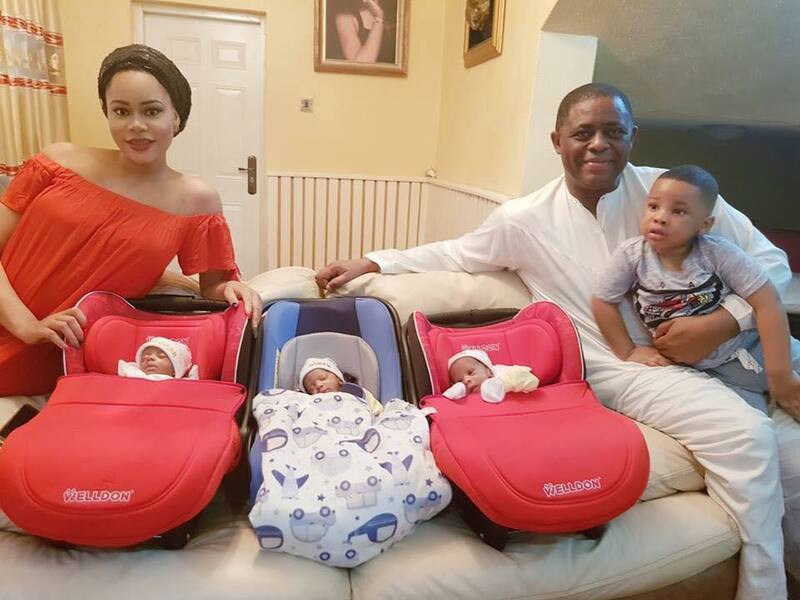 Femi Fani-Kayode has taken to Facebook to share adorable photo of his family including his triplets after they returned from the hospital. "My handsome boys came home today with my wife Precious, their beautiful mother. My first son Aragorn was so excited to receive his brothers, Ragnar, Aiden and Liam home for the first time. I thank God for all and my gratitude goes to my friend and brother Dr. John Idahosa, his beautiful wife and their wonderful team at DIFF Hospital, Abuja for all the special love and care. God bless you all."